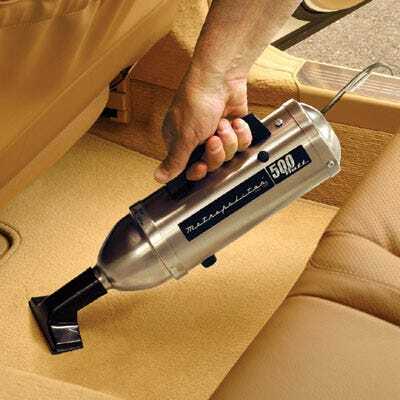 Weighing in at less than 3 lbs., it is pound for pound one of the most powerful vacuums anywhere—and much more potent than the battery-powered variety. Compact size is ideal for quick clean-ups in the car, garage, workshop or home. It is all steel construction with a stainless finish and includes upholstery tool, crevice tool, and dusting brush. Motor draws 4 amps and is rated at 500 watts to produce .75 horsepower. Replacement bags available separately. Plugs into standard household outlet with an 11' power cord. very well pleased with my Vacuum cleaner. I had three others and no way did they compare to this one . I put my other ones in a yard sale. Thank You Very Much. Powerful yet compact. Perfect for garage storage for use on cars. 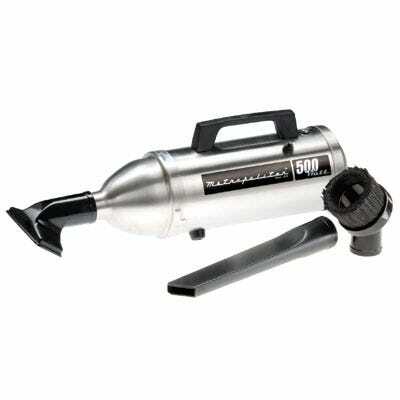 I would recommend this product due to its compactness, powerful vacuum, and durable construction. Also made in USA.